Alongside its proven product range, Etac R82, the leading specialist in adaptive equipment for disabled children and adults, will be offering new educational and interactive literature for therapists and families at Kidz-to-Adultz Middle. Stand D1 – the largest Etac R82 stand ever at Kidz to Adultz in the Middle! Etac R82 provides Scandinavian influenced solutions that help individuals and families living with disability to achieve more from life. Through considered design that continually innovates, its ergonomic products are trusted by therapists and deliver positive outcomes for all. Etac R82 believes that educational advice and support is important to ensure the most is gained from equipment use. Hence it continues to generate educational content and will be providing free copies of its latest Crocodile walker ‘Workbook’ at Kidz. Content includes results-focused case studies through to clinical benefits and ‘how to’ guides. This printed guide, as with others in the ‘Workbook’ series, link with useful videos on the Etac R82 Youtube channel. The outstanding adaptability and adjustability of the recently launched Wombat Living activity chair will be demonstrated alongside the adaptable Nandu seat and transportable Scallop. The Scallop is a fabric-based, folding seating system that offers postural support whilst promoting movement. It is ideal for GMFCS level 1-3 children when sitting on the floor or a chair and will be available to try and buy in the R82 fun activity area. Families and therapists will be able to test and trial a selection of R82 shower/commode chairs including the pioneering Flamingo High-Low with back recline, Heron and Manatee. Mustang and Crocodile walking aids will be available to try out. Make sure you pick up a copy of our interactive products guides for these products. The Gazelle will be on the Etac R82 stand which provides abducted standing for reducing hip migration in children with Cerebral Palsy. The Rabbit standing frame will also be demonstrated at Kidz. There will be an impressive range of products on show within this area. These will include the highly regarded specialist x:panda seating system, advanced SPEX postural solutions and pressure-managing Star Cushions. In addition the popular R82 Stingray buggy and Stingray car seat, Kudu wheelchair and recently launched Cricket Buggy will be demonstrated alongside the latest Convaid paediatric strollers. The ergonomic Convaid products will include the lightweight Rodeo, Cruiser and portable Trekker. 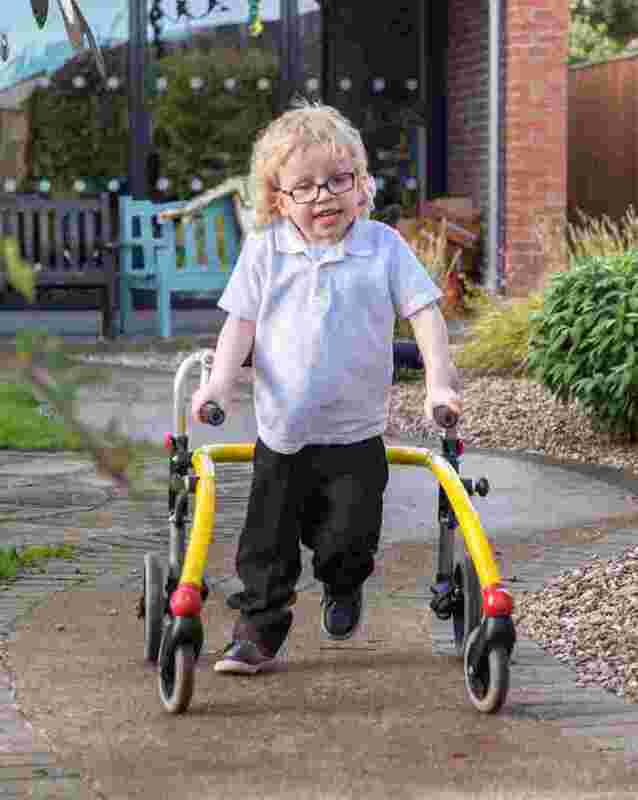 For professionals and parents supporting semi-ambulant children and young adults, there will be a selection of Etac and Molift moving and handling solutions available for demonstration. These will include the new Etac Turner Pro, Molift Raiser with Raiser belt and folding Molift Smart 150 hoist. R82 UK Ltd is an Etac Group company supplying R82, Etac, Molift, Immedia and Convaid branded products in the UK and Ireland from a head office base in Halesowen, Birmingham. The extensive range of high quality assistive products for disabled children and adults includes wheelchairs, buggies, standing, walking, toileting and bathing aids as well as manual and mechanical transfer aids. Sales and distribution of these products is supported with service and repair back up from a base in Basingstoke. The parent company Etac AB is based in Stockholm, Sweden with manufacturing sites across Scandinavia. The Etac Group has a truly global reach with further subsidiary companies in the USA, Europe, Far East and Australia. The most recent acquisition of US buggy manufacturer Convaid has further strengthened the Etac Group’s product portfolio worldwide.